Amberport Security Limited offer a comprehensive Risk & Service Security Profile Survey to assess your needs and understand your business. * Trained Security Consultant to conduct the Profile Survey and gain an understanding of your business and its needs. * An appropriate and cost-effective Security Service Solution to protect your assets, people and business as a whole. 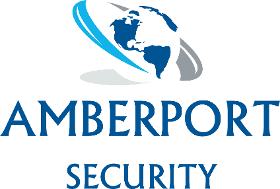 First class service, professional & courteous throughout, we have been working with Amberport Security for over a year & they have had a positive impact on our business from the very start. We are constantly getting complimented on how friendly and thoughtful the officers are towards our guests, I... Read more hope that we can continue this working relationship for a long time to come, they have definitely add that extra special touch to our company.